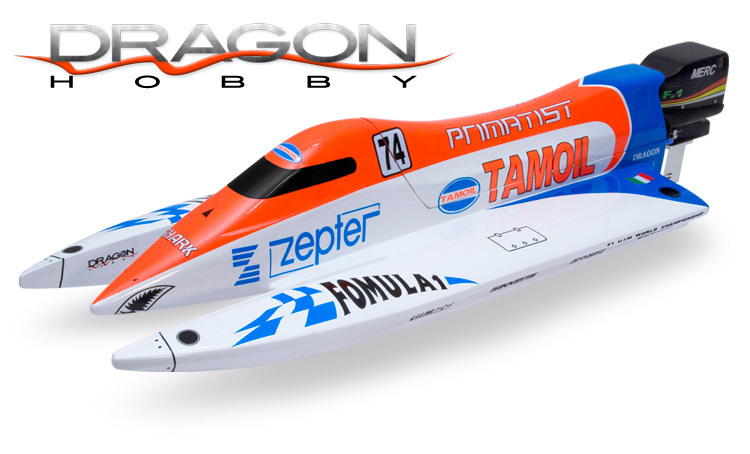 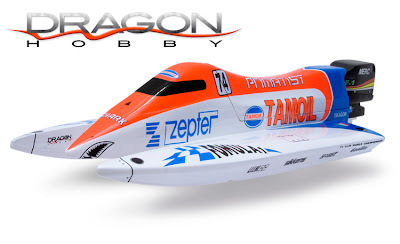 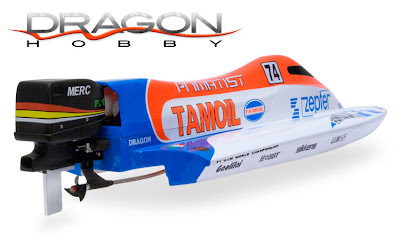 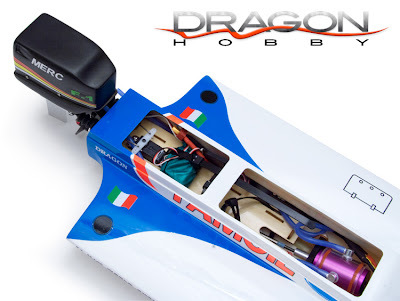 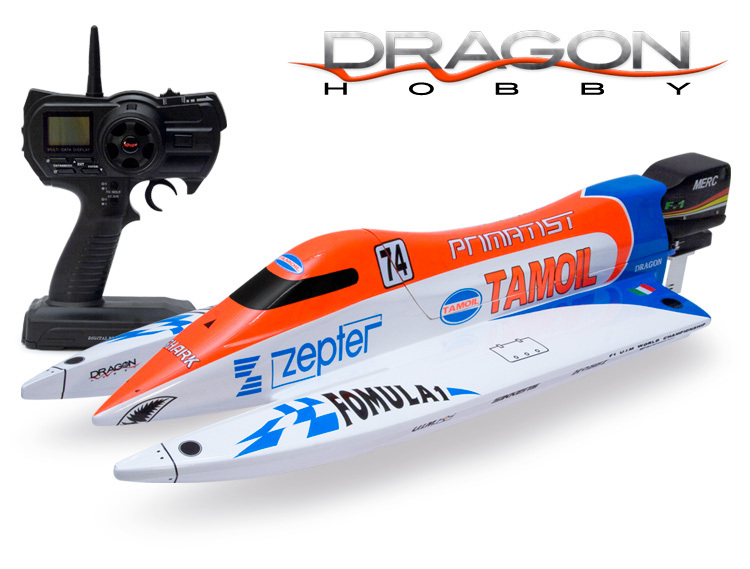 Do note, the Tamoil F1 has no outboard motor - it just looks like that - the brushless inrunner motor is mounted inside the boat and it has a flexshaft as most RC boats have today. 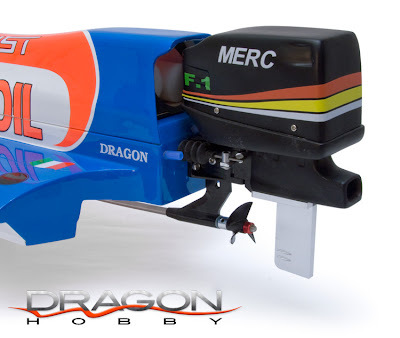 But on the transom there is a new rudder/strut system with a good looking Merc F1 power head style cowl (even including the beefy Merc exhaust). 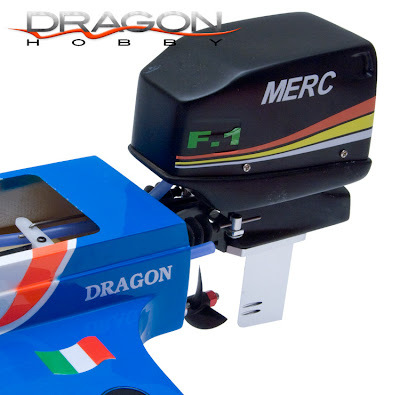 As the "outboard" is attached to the rudder it will also turn when you turn, creating an good illusion that its actually an outboard on the transom! 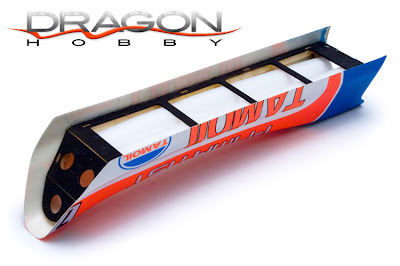 Available in hobby stores all around Scandinavian countries through Minicars Hobby Distribution.